Sprinkles of Life + Blog Hop + Giveaway! 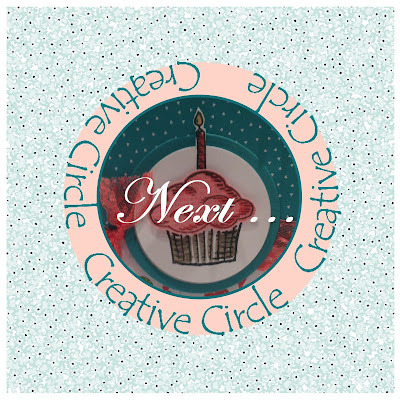 Welcome to another Creative Circle Blog Hop! Today the Creative Circle Design Team took my Ice Cream Parlour pattern, and took the pattern to another new world of their own version. Here is my take. My inspiration came from the Sprinkles of Life stamp set. The first thing that came to my head was an ice cream parlour. I wanted a fun way to hold all the ice cream/cupcake cards together. To open the box, you pull the sign to lift the top to access your cards. 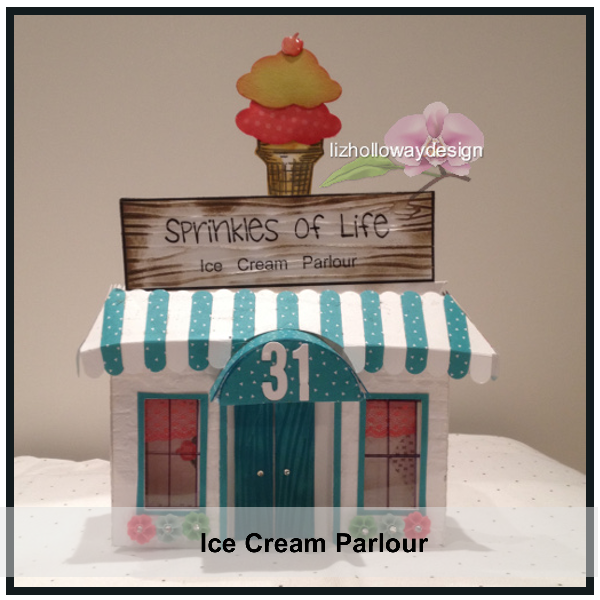 Want to make an ice cream parlour? The download pattern is available. Click on the image below. Very easy to assemble together. You can view the assembling tutorial above. Be sure to come back soon. I will post each of the cards and instructions to go with the Ice Cream Parlour. 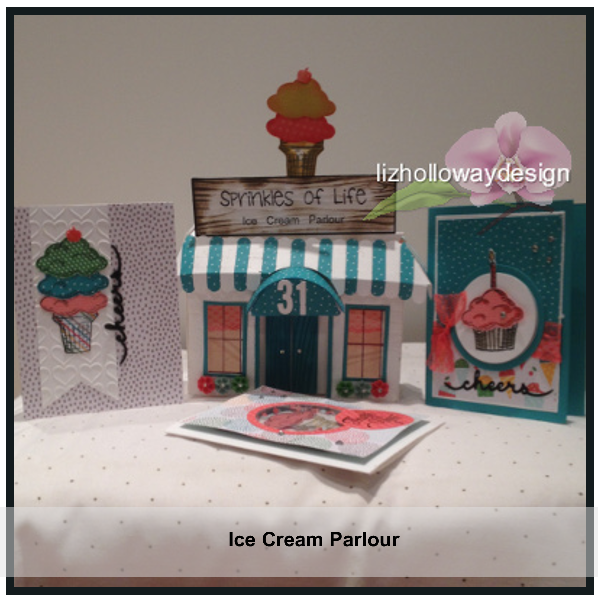 This post is part of a fun blog hop using the Sprinkles of Life Ice Cream Parlour pattern. Be sure to hop on over to my darling friend Fan Sabad. If you get lost at any time, all our hoppers are listed below. Have you used my 3Ds before? YES, is it easy to use and what do you like about them? NO, do you like my designs? We will announce the winners on August 10. Interested in the products I used? To make them easy for you to find, I have listed them below. Come back for more as I will show you all my cards coordinating with this pattern. Labels: 3D Papercraft, Blog Hop, Ice Cream Parlour, lizhollowaydesign, sprinkles of life, Stampin' Up! The ice cream parlor is too cute! I have one of your template designs, but am embarrassed to say I haven't used it yet. I don't believe I have used one of your template designs -- I adore this one and plan to download and USE it! Congrats Desiree, you are the winner of the Ice Cream Parlour. Please send me an email with your email address. As usual, your ice cream parlor design is fantastic. You make working with you on your Design team so easy and such a pleasure! nice ... do you have a picture? I love to post one on my blog. No, but I love all of your designs. Thank you! You love ALL my designs! Good to hear that! Cute, love it. I bought your crib but that was as I was just getting used to my silhouette but must look for that pattern and try it!! Thanks for the opportunity to win!! !